I’ve managed to get Aleutia’s underground parts into a form somewhat more symmetrical than it used to be. I’m still working on fixing above-ground areas and doing a few more tweaks to the underground but if all goes well I’ll have an Alpha 2 version completed within the week. Depending on how it’s recieved I’ll continue to work on Aleutia or I may start from scratch with a new map idea I’ve come up with that involves trains and train stations. So far Aleutia still isn’t symmetrical, in fact I doubt it ever will be. Despite my best efforts something just isn’t clicking together just right to be lined up properly. I’m thinking that the A2 version of Aleutia will probably be the last and that I may need to abandon it because right now the only way to achieve perfect symmetry would be to start over again from scratch. No matter what, it won’t ever be perfectly balanced. It will be playable, but probably not enjoyable. Abandoning a map is never an easy thing to do but this was a valuable learning experience despite the problems. I have other ideas for maps that i can make, learning from the mistakes I made in this one. So I am committed to at least having a playable version of the revised Aleutia, but I do think that’s as far as it will be able to go for the foreseeable future. This is a very short update, to the tune of not even having any screens to show. 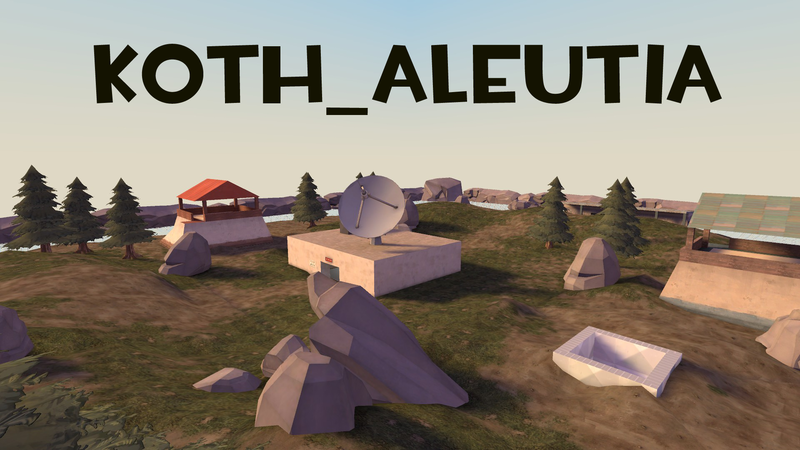 It’s only been a couple hours since i submitted Aleutia a1 to tf2maps.net, and I’ve already recieved some feedback. None of it overly positive but the criticism leveled at the map has been constructive and helpful. 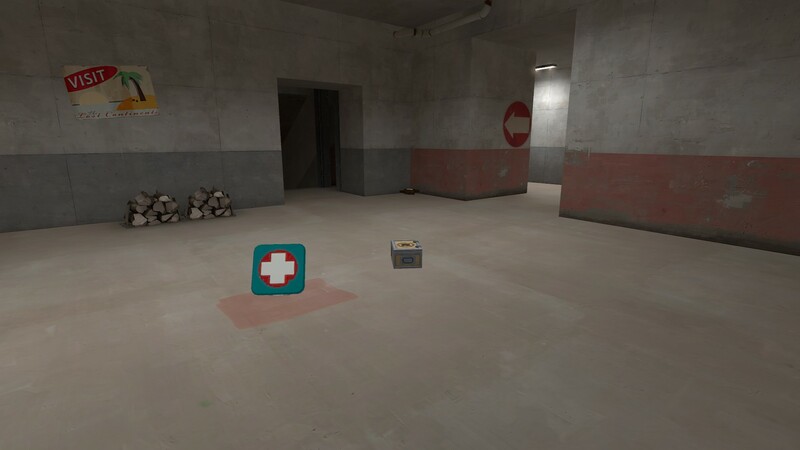 Namely people seem to think it’s still too open to spawncamping, and that the map will suffer from not being symmetrical. I actually tend to believe heavily in the second part and as such have been tearing up the map. 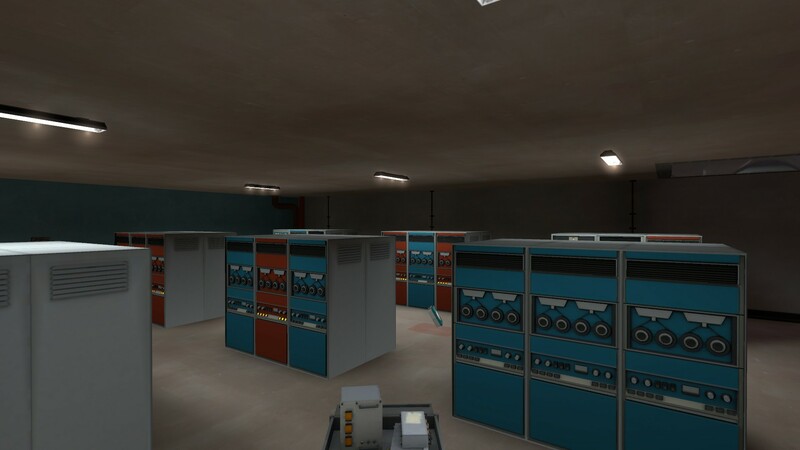 The server room is now going to become the entire basement of the map, and lead up to the control point. 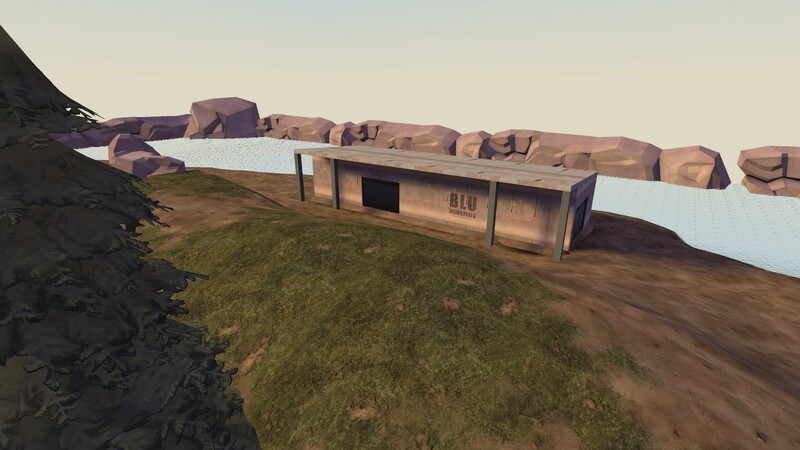 I’m also moving the BLU base entrance over a bit and redoing displacements there since that was a spot I was never happy with. It not only was breaking symmetry but was also making it hard to keep displacements from forming seams. If all goes well I should be ready to put out version a2, with most of the complaints addressed, in about a week or two. My self-imposed goal is to have it done before PAX East Weekend, which is the 26th. I’m still not entirely sure how i’ll fix spawncamping seeing as how i’ve done just about everything I could. 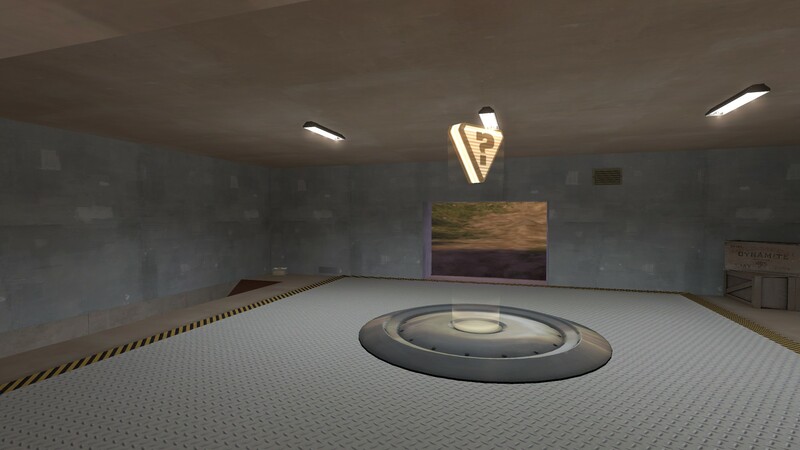 I might expand one of the spawn room exits to make it harder to keep everything covered or just give each team three spawn rooms but I’m not sure yet. 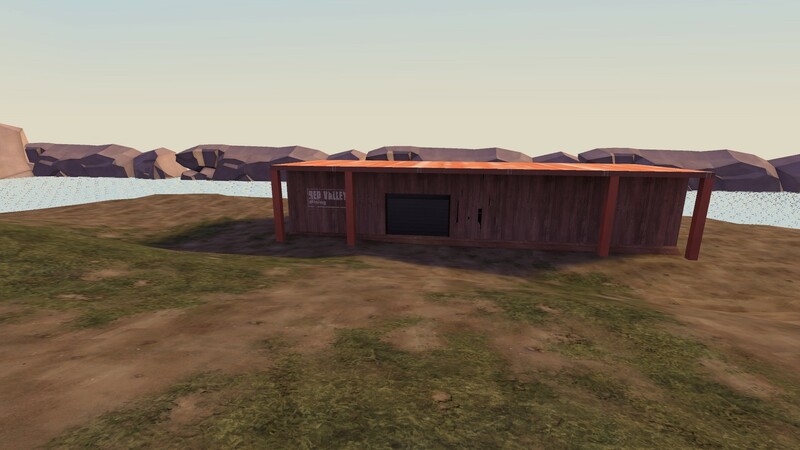 I have completed the first fully playable build of Aleutia on time. I’m still getting over the thrill of managing to do this especially when I was worried I didn’t optimize it well enough. 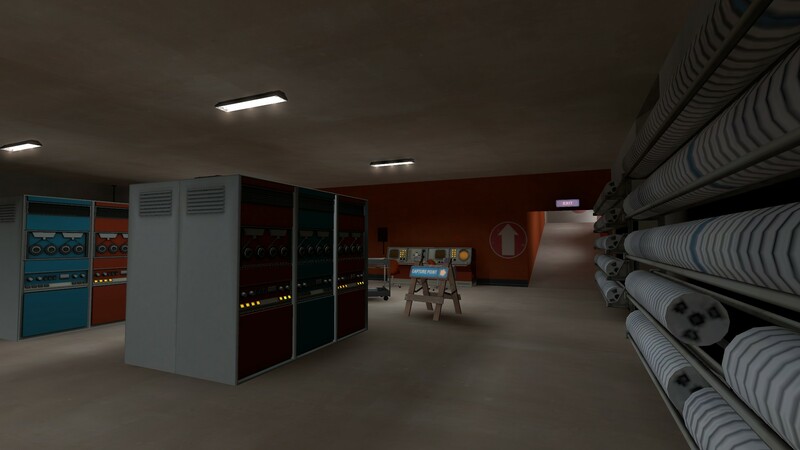 But it apparently took less than 20 minutes to fully render, which I think is about average for a decently-optimized TF2 map. 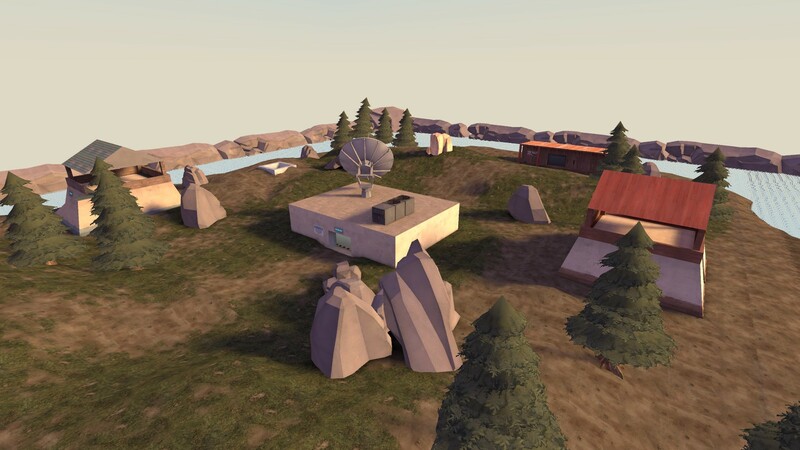 Anyway from here I was planning to have some people I know play test it with me, just to see if there’s anything really glaring that needs to be fixed, before submitting Aleutia’s alpha build to tf2maps.net for more testing and critiquing. For now though, some more screenshots. As I mentioned in my twitter a short while back I sorta went a bit crazy in the process of trying to finish my map. I was trying to find a way to “wall-off” the edges of my map in a visible sense. I’d already put in player clip brushes that would keep people from falling into the void, but still they would need a visual clue to understand why they can’t proceed past a certain point. The problem that arose was that it would be far too time-consuming to make displacement cliffs, at least if I was going to have this map playable by my self-imposed deadline. 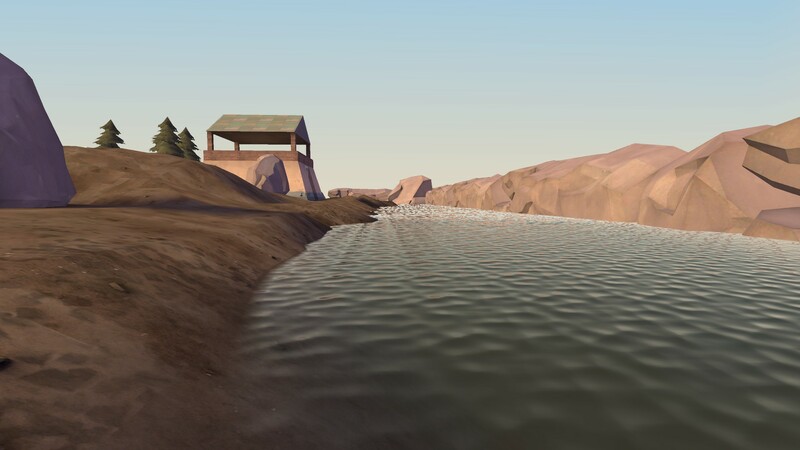 The solution was to use static props of cliff faces and huge rock formations. Only problem was that the only ones suitably big enough were not thematically fitting with the tropical/desert theme of the island, since they were from the Forest/Alpine theme. I couldn’t figure out a good way to justify the grey forest rocks, even as volcanic, so I decided to do something drastic. I completely altered the visual theme of the map. In short, goodbye to Moai Island, and hello to “Aleutia”.